My Lady, if Thou pray for me, I shall be saved; for Thou dost obtain by Thy prayers whatsoever Thou wishest. 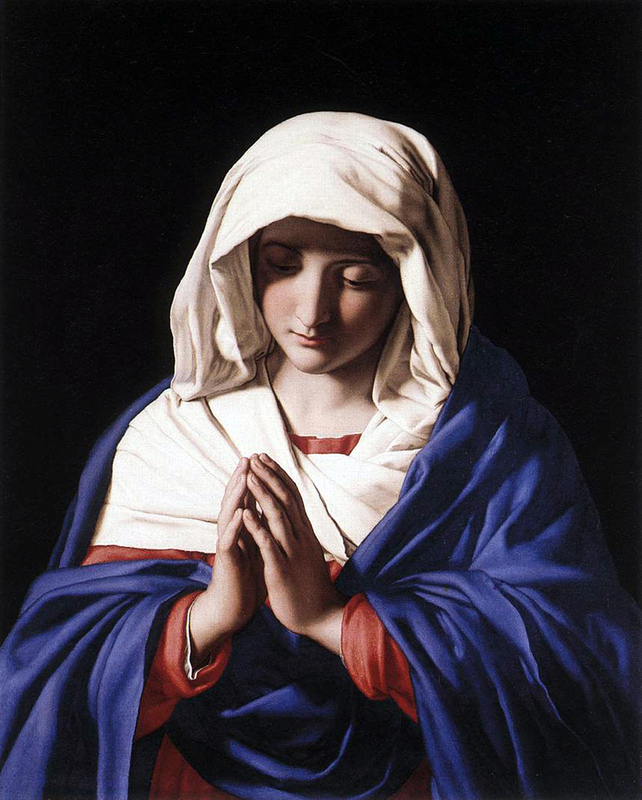 Pray then for me, O great Mother of God: for Thy Son hears Thee, and grants whatever Thou askest. It is true that I am unworthy of Thy protection, but Thou hast never abandoned a soul that had recourse to Thee. O Mary, I consign my soul to Thee; Thou hast to save it. Obtain for me perseverance in the divine grace, and the love of Thy Son, and of Thee. I love Thee, O my Queen, and I hope always to love Thee. Do Thou also love me; take me under Thy protection, and have pity on me : grant me this favor through the love that Thou bearest Thy Son. Behold the confidence that I place in Thy clemency, and do not cease to assist me in all my wants. I know that Thou wilt not cease to help me as often as I recommend myself to Thee; but obtain for me also the grace to have recourse to Thee in all my temptations, and in all my dangers of losing God. Assist me, particularly at the hour of my death: obtain for me the grace that: with my last breath I may pronounce Thy name, and the name of thy Son, saying: Jesus and Mary, to you I recommend my soul. Another masterpiece produced to help us attain heaven!! The devotions are beautiful and insightful to aid us in venerating our Lord , Mary and the Saints. Thank you so much for your time spent in producing this book.